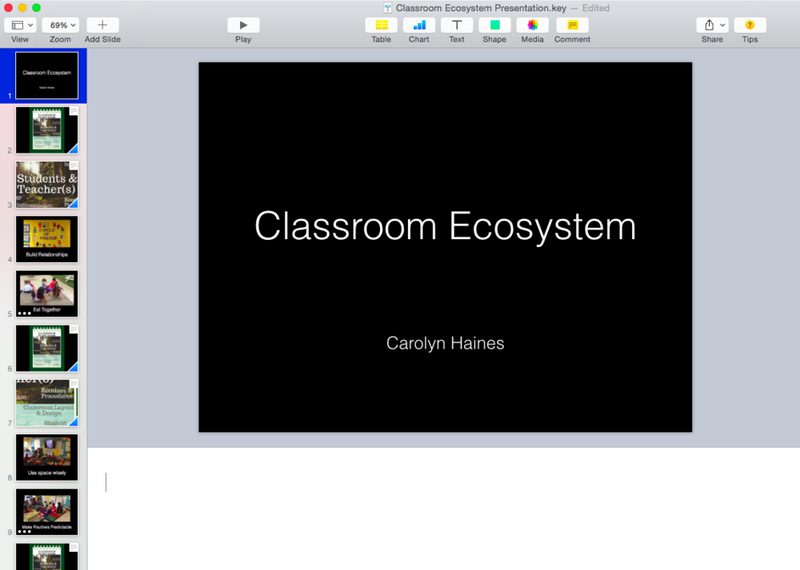 The classroom is an interconnected system made up of many components: the people, the physical space, the instructional design, and the support systems. The goal for any classroom teacher should be to create a healthy classroom ecosystem that supports every student. At the heart of any classroom are the students and teacher. The most important component of a healthy classroom ecosystem is cultivation of strong relationships between the people in the classroom: student to teacher, student to student, teacher to support staff. The second main component of a healthy classroom ecosystem is the physical environment. Design your classroom for collaboration. Include spaces for all the activities you will routinely have. Include space for the whole community to meet. Consider decoration carefully. Ask yourself: does this support learning? Is my classroom warm and inviting? Is the environment cluttered? Do I have work spaces for a variety of learning styles? Build routines and procedures for every aspect of your day. Teach students your expectations and hold yourself and your students to those expectations. Children thrive on routine, so deviate only when necessary. Create a behavior management plan that promotes harmony in the classroom and encourages accountability. Your plan should create an environment of internal motivation, not extrinsic rewards. When behavior corrections are necessary, make them in private. Catch students exceeding expectations and publicly praise. Consider student behavior carefully. Before jumping to correct or punish, seek to understand the root of the behavior. Design instruction in your classroom for all students. Your classroom must be culturally responsive, include differentiation, use data-driven decision-making, include content engaging, and be designed for students at the margins using universal design principles. Start by knowing your students. Know who they are. Know what their preferences are. Students should see themselves both in the instructional materials, like literature and textbooks, but also in the classroom. Use student work and photographs of your students as decoration. Use data to inform and plan lessons. Ensure students are getting the instruction they need to be successful. An essential component of whole-child teaching is inclusion of Social and Emotional Learning (SEL). Just as students need to learn literacy and computational skills, they must also learn inter- and intra-personal skills. Morning meetings, circles, and activities designed to help students better understand themselves and others are just as important as the academic content. Create a climate where students feel connected and support one another. Last, welcome parents, caregivers, administration, and support personnel into the classroom. Parents, caregivers, and school support staff should also feel welcome in your classroom. Teach your students to welcome visitors into the room. Provide opportunities for families to participate in class activities. An unfortunate reality is that many children are victims of abuse. As teachers there are legal requirements for reporting suspected abuse. When a teacher suspects that a student (or other child) may be a victim of physical, emotional, or sexual abuse, they must immediately report that suspicion to authorities. Schools may have a system in place for documenting reporting, however, it is ultimately up to the teacher to report. Teach your students about bullying behaviors. Teach them what to do to prevent and intervene when the witness bulling. There are great lesson plans available for all age groups at The Ned Show website. Have students role play how they can react when they witness bullying behavior. Share resources with other educators. 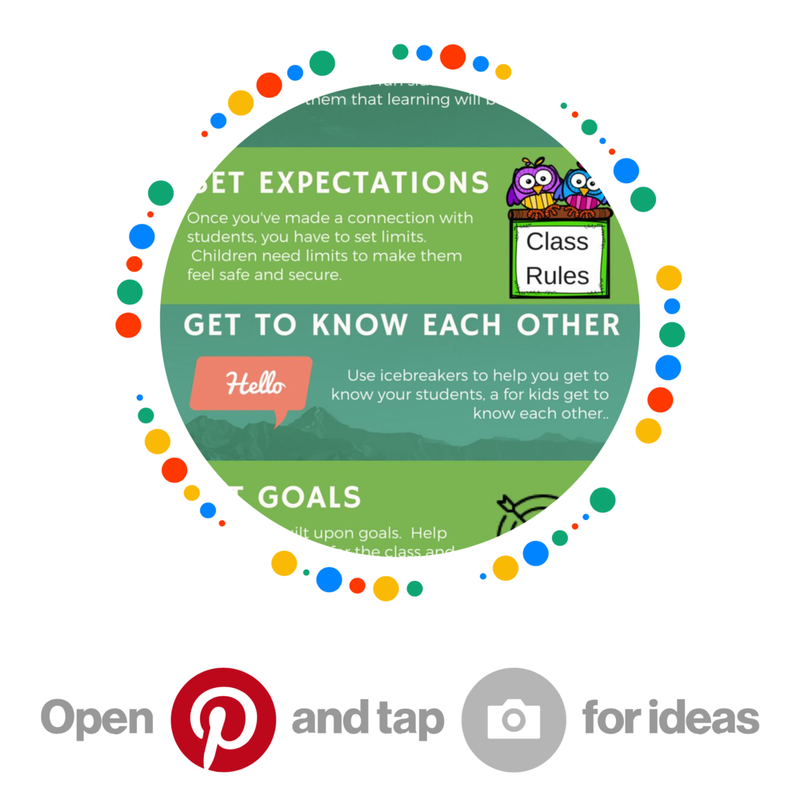 Pinterest is a great way to find and share information you find about creating a healthy classroom ecosystem. What experience has impacted you the most? How has your mindset, toolset, and/or skill set changed? My mindset has changed by solidifying my understanding of the many components of "classroom management." I now know that the environment I create has so much more to do with community and atmosphere than just managing student behaviors. I have learned many skills that will help me cultivate a community in my classroom that is supportive, kind, and highly productive. What additional questions have surfaced for you? I am very interested in learning more about the Responsive Classroom approach. I have seen many of the individual pieces in place in various classrooms where I have spent time and would like to learn more for myself. I am curious about how to incorporate morning meetings as tools to foster community and incorporate Social Emotional Learning on a daily basis. I am also interested in learning more about the Whole Brain Teaching approach as a way to both engage students and provide a system of behavior management that is fun and positive.